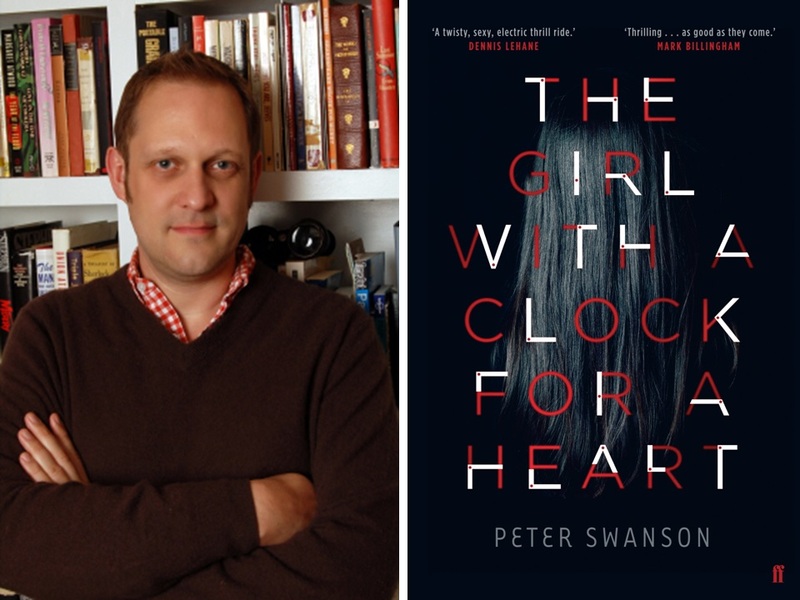 Peter Swanson’s book, to be published in January 2014 by William Morrow in the US and Faber & Faber in the UK, is a crime thriller about a man whose ex-girlfriend disappears for 10 years and then reappears needing his help. Derby Street Films will co-develop and co-produce. Book scout Claire Lundberg brought the film to Coen’s attention; Joel Gotler negotiated the rights on behalf of Sobel Weber Associates. Oscar-winner Marsh, who is repped by Independent and CAA, added: “This is exciting material to adapt into a film. The story operates on two interlocking timelines, which makes it veryoriginal, and in the vein of thrillers like Memento and PointBlank. Shots organised an interview with Boston based Peter Swanson, where we look behind this exhilarating debut novel, and examine why everyone’s talking about it. We’ve seen that you come from a creative writing background with leaning toward that dreaded term ‘literary’, so could you tell us a little about your upbringing, and where the love of words come from? My upbringing was in no way literary. But my parents read, and I always had a nose in books growing up. I loved Roald Dahl, John Bellairs, Hardy Boys and Nancy Drew. When I was around twelve, I started reading the adult paperbacks that were lying around the house. I read books like Peter Benchley’s Jaws, and Robin Cook’s Coma, and the Ian Fleming’s Bond series. There was no turning back after that. I am surprised that you didn’t head to film school as opposed to studying literature? So are some of my friends. I have always been a movie-obsessive. But the truth is that I’m happiest when I’m tucked into my office at home, reading and writing. Making films is a huge collaborative effort, and involves a very outgoing personality. Also, I love living in New England, and New England is not where the film industry resides. So tell us about your schooling at Amherst? I have three degrees. I got a Bachelor of Arts from Trinity College in Hartford, Connecticut. Then I got a graduate degree in education from University of Massachusetts at Amherst. It turned out I didn’t like teaching much, so I went back to school, getting a Masters in creative writing from Emerson College in Boston. Clearly, I was avoiding real life by trying to stay in school forever. What about your early reading? Was there a ‘eureka’ moment that turned your reading towards writing? My favourite writer as a kid was Roald Dahl, and he got me interested in writing. But it was his poetry that made me want to write, not his prose. In particular, the funny poems that the Oompa Loompas sing in Charlie and the Chocolate Factory. After reading those, I began trying to write my own funny verse. I’ve been trying ever since. Your debut novel ‘The Girl with a Clock for a Heart’ seemed to me to draw upon themes that are shared with noir-writers such as James M Cain, Jim Thompson, Bob Bloch and Patricia Highsmith, would you agree? I’ve read all those authors, so I agree to a certain level. Definitely Highsmith and Cain. But my favourite thriller writer, who is quickly becoming a forgotten footnote of the genre, is John D. MacDonald. On your blog, it seems that you read widely and are not constrained by the limits of genre, with interests in the gothic, detective, thriller, psychological, espionage, horror and even the literary. So tell us about your thoughts on genre, and why do think that crime fiction as a genre is the most popular in adult publishing? It’s funny because I think crime novels satisfy two very different needs of readers. First, they satisfy the prurient need, i.e. reading about the transgressions of murderers and adulterers, and all-around bad people. Who wouldn’t want to read about that? But then there is also something comforting about the crime field, especially in the subgenre of cozy mysteries, in which the disorder of the world is restored by a detective figure. All is put back in place. ….and is that why you think literary novelists such as John Banville [aka Benjamin Black], J K Rowling et al are also seen working in the crime fiction genre [and sometimes deploying pen-names]? I don’t think Banville or Rowling are working in the crime fiction genre because they are trying to attract more readers. My guess is that they both read crime fiction, and wanted to try their hand at it. Your website indicates your love of poetry as well featuring some of your published short stories, so tell us what made you embark upon a novel. The first novel I wrote was about ten years ago. Frankly, what happened was that I got an idea for this novel (a whodunit centered around the world of poetry, unpublished) and I just wanted to see if I could actually write it, start to finish. It was a heavily plotted whodunit, and that helped me get to the end, I think. Anyway, I loved the process, loved waking up every day and going back to the same ongoing story, and have been writing novels eve since. Can you tell us a little about the genesis to your debut, what was the spark that triggered this tale of lost love and the road to redemption? This particular book began life as a short story. It was my agent who thought that it could be transformed into a novel. But the spark for the original story was thinking about college freshman and identity, and how, back before Facebook and Instagram, incoming students showed up at college as blank slates. That led to the character of Liana, someone trying to entirely reinvent herself. The two main protagonists / antagonists George Foss and Liana Dector [or whoever she is] are delineated with a sparse, but vivid touch, and the narrative keeps you guessing as to what their ‘real’ relationship is; so I was wondering if you heavily plotted the book before embarking on the writing, or did you let the muse take you by the hand? The way I write now is that I have a general idea about where the narrative is going but I don’t overly plot in advance. I like to allow twists to happen that might surprise even me. The Girl with a Clock for a Heart is being published by William Morrow [HarperCollins US] and Faber and Faber in the UK, so tell us a little about the path to publication. As I said earlier, my agent, Nat Sobel, really wanted to see The Girl With a Clock for a Heart turned into a full-length book. It was only when I realized that the book could tell two different stories from different times that it started to come together. I finished the novel and sent it to Nat, who sent it back with revisions. This happened several times, to the point that I thought Nat would never think it was a saleable novel. Then, without telling me he was even pitching it yet, he sold it to editor David Highfill at William Morrow, then to Angus Cargill at Faber a few months later. At the dénouement, you have left sufficient rope to lead to a follow-up, and dare I say, a series, so are you following up this novel, or moving toward something new and something equally noir? My next novel, which is finished, is not a sequel. It’s a brand new story, also crime, but a little more psychological. It’s heavily influenced by Patricia Highsmith, and it’s called The Lonely Lives of Murderers. I might write a sequel to The Girl With a Clock for a Heart but I don’t have a solid idea yet on how I would do that. Linking on with the noir influences you seem to have an enthusiasm for the works of Hitchcock, so tell us which of his work has particular resonance to you? I like all the heavy hitters—like Vertigo and Psycho—that everyone else likes, but if I were going to a desert island and could only bring three of his films, I’d bring The Lady Vanishes, Notorious, and Rear Window. And what is this we here about your writing sonnets for Hitchcock’s work? It’s called The Hitchcock Sequence, and it’s one sonnet for each of Hitchcock’s 53 films. The best part of this project was going back and re-watching so many great films, and then watching, for the first time, the lesser-known films. And we hear your novel has been optioned for a film adaptation, have you any news about the possibility to see it on the silver screen. James Marsh, who directed Man on Wire, is attached to write and direct. I spoke with him about a year ago, but haven’t talked with him since. I’m keeping out of it, since that’s what writers are supposed to do in these situations. If it happens, it happens, but I do realize that even after a novel gets optioned, the chances of it making it to the screen are still slim. I will say, however, that, having spoken with James Marsh, if it does happen, I hope he’s still attached. I really loved William Boyd’s James Bond novel, Solo. He totally caught the character of Ian Fleming’s Bond. But other than that, I didn’t read a ton of contemporary novels. I did start to read Sophie Hannah’s crime novels and I’ve been really enjoying those. The best book I read in 2013, though, was a book from 1953: Ira Levin’s debut novel, A Kiss Before Dying. It’s a perfect thriller. You’re welcome, and thanks for the great questions. Stay tuned to the Shots Blog as the wonderful folk at Faber and Faber have a competition coming shortly to give away three copies of this tremendous debut. Stay Tuned to the Shots Blog as Faber and Faber are organising a competition to win 3 copies of this remarkable debut for Shots Readers. The unremarkable Bostonian George Foss finds himself drifting through life, directionless. His world-view is shattered when his first love, the mysterious Liana Dector [or is she Jane Byrne or someone else?] reappears in his life. Mysterious; because his fellow University student and lover Liana had committed suicide decades earlier in circumstances that Foss never comprehended. When he escaped to Florida, Liana’s home, he discovered that the girl who committed suicide was not in fact the girl he loved. The mystery deepens when the ‘real’ Liana reappears [twenty years later] and asks for George’s help, as there are dangerous people on her trail, led by an enforcer named Donnie Jenks. George soon finds himself in peril, as well as the people he knows such as his friend, and on-off lover Irene. It seems that “Liana / Jane” needs George’s help to stop Donnie Jenks and his boss, her former lover Gerald MacLean from exacting retribution, for a theft that may or may not have occurred.